The snows went early this spring and for the past month we have had almost no moisture in our Alberta foothills. 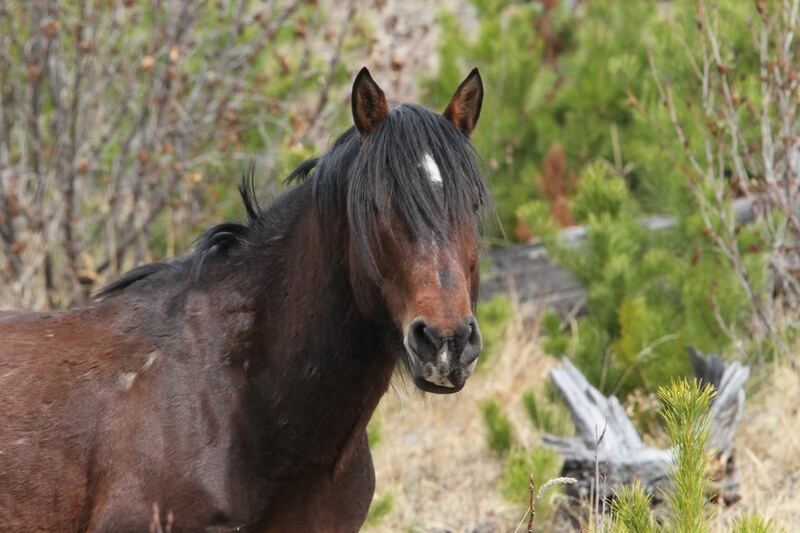 This has made a lot of wild horse country a volatile tinder box. 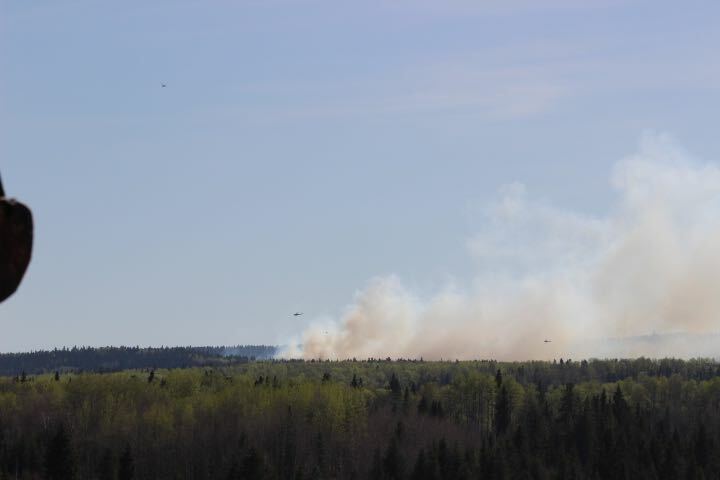 Such was the case on Monday April 18 when a carelessly discarded cigarette started a fire along an oil lease road south of Gooey’s corner. 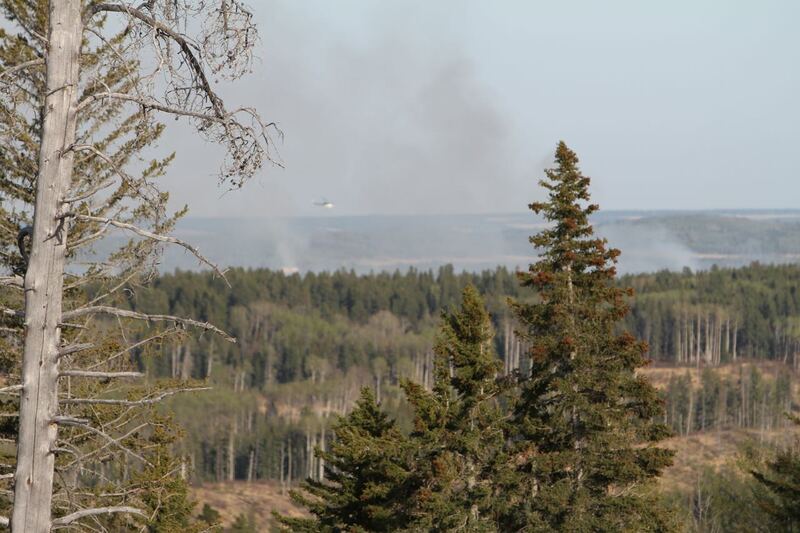 It was fortunate that there was such a quick response from the Alberta Wildfire Response Unit and the Sundre fire department, who managed with the aid of helicopters and planes carrying fire retardant, to keep the fire contained to around 15 hectares. We want to commend all those first responders for their hard work and dedication. The area of the fire is one of our favourite areas to visit and ride in. Right at this location there is a small family of three horses that have been living there all winter. The area where the fire was located is still cordoned off and we have been unable to check on Taima and his family. Being that they are all mature horses, we have no doubt that they were able to flee to safety. 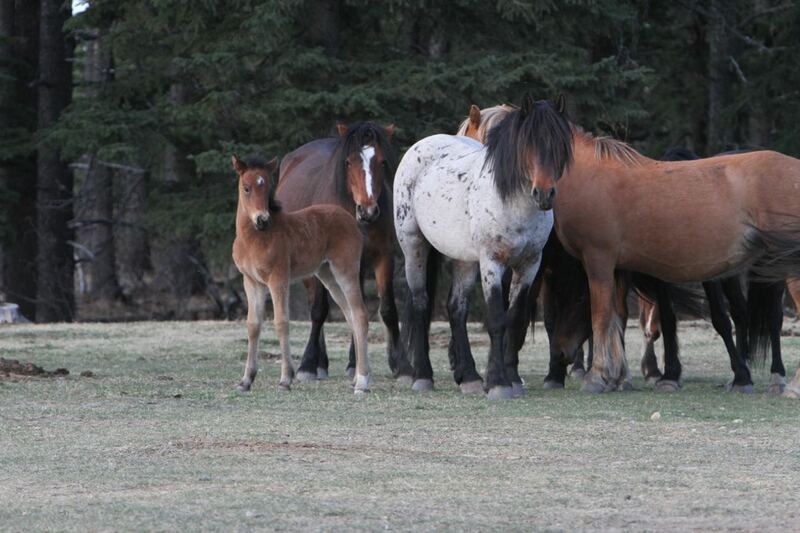 However, this may not have been the case if the fire had grown and/or there were young foals with the herd. We can only strongly encourage all users of the forestry to be extra careful at this time due to the extreme fire hazard. These fires can not only endanger wildlife and the wild horses, it can also destroy private property. Just remember, this land belongs to all of us. The two young foals belong to this stunning stallion and his herd. They are part of the reason we are trying to get this message of being fire smart when using the back country. 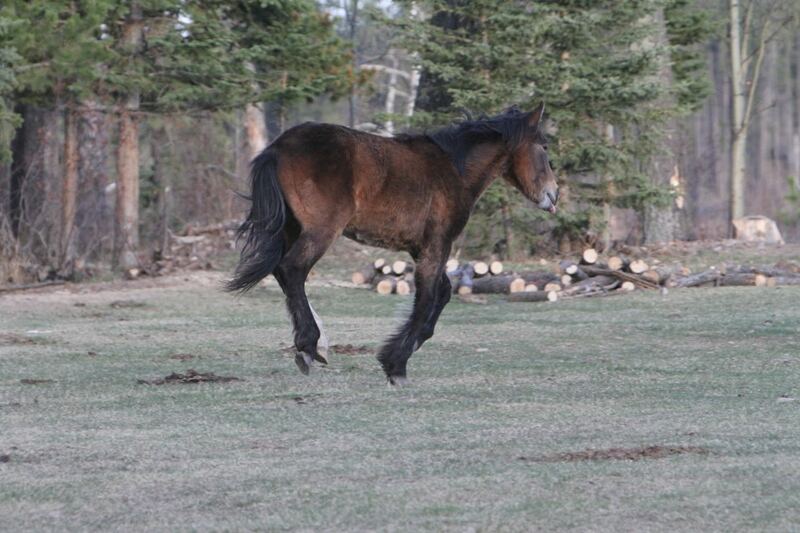 We are starting to see more foals with the herds and hopefully the rain will come which will bring on the green grass and diminish the fire hazard. So far without moisture, the grass is so slow coming it is causing the herds to be continually moving and substantially more than they normally would this time of year. This can be particularly hard on the new foals. 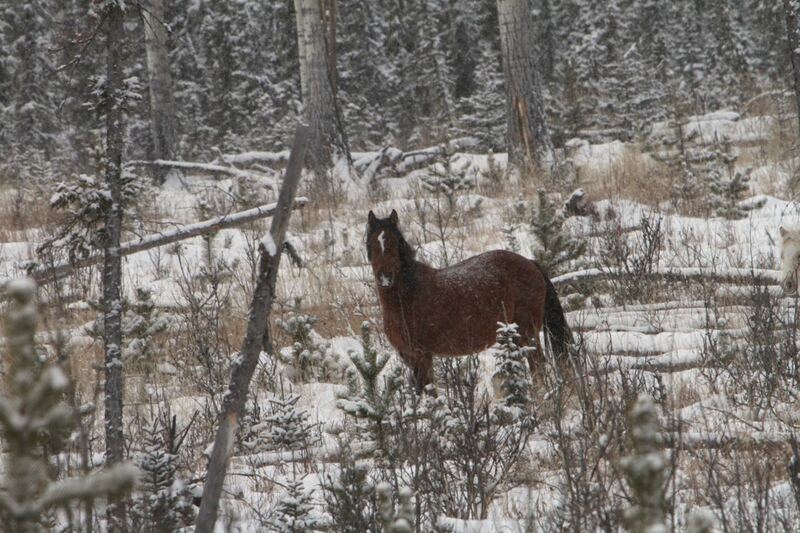 This beautiful mare also lived close to the fire area. She was heavy in foal when this picture was taken in early March. Nature sometimes can be harsh and it was with heavy hearts that we found her dead 10 days ago. 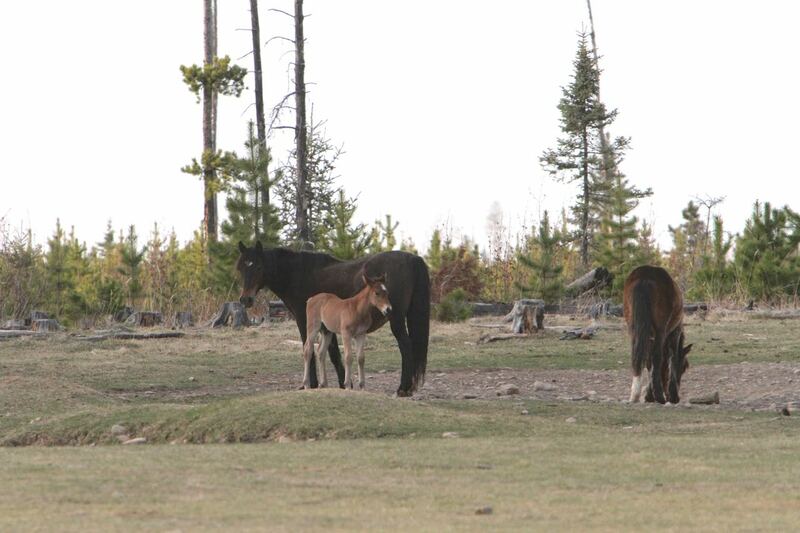 It is hard to determine what may have happened, but as we have seen in the past, any birth complications with the wild horse mare usually results in death. In death though, other creatures benefit with being able to feed on the remains. This includes the ravens, the eagles, the wolves, and in this case, a grizzly bear also. Life does go on with the wild horses and it is instances like seeing this young yearling galloping happily back to his herd, all four feet off the ground, that cheer us up. As he joined his herd, he tucked himself right into the chest of his sire. This certainly made us smile. Please remember – be fire smart in order to assure the safety of these beautiful creatures. 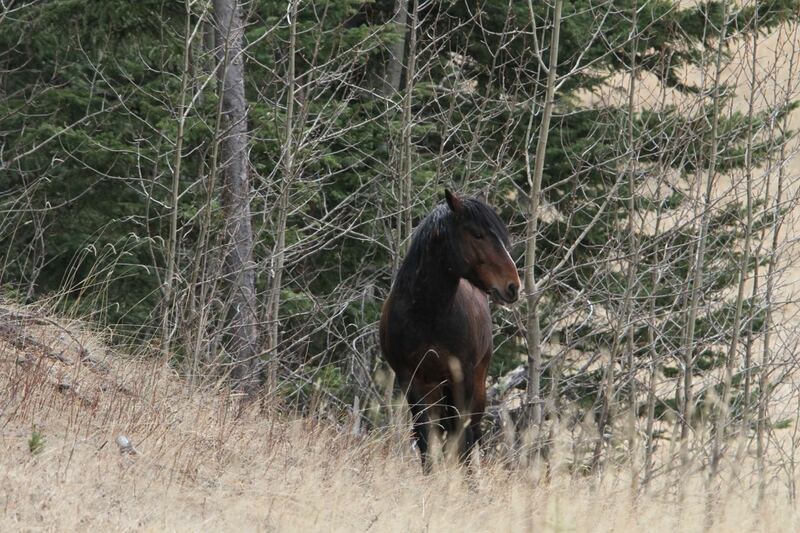 It is so sad when a wild horse is lost, But it does go to show you that they do die out there and they also are hunted down. So people who think that they don’t have predators they do. No different then the Elk, Moose and Deer.